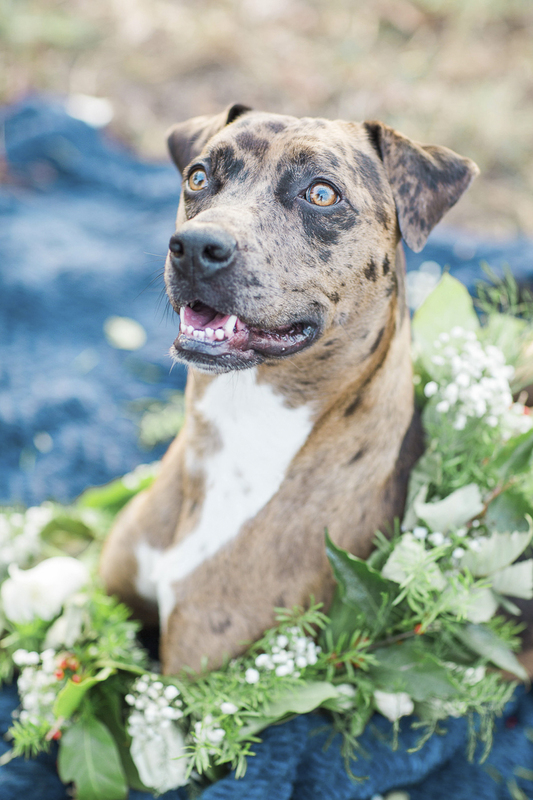 There’s something almost magical about these photos of Nala and her family from Rochelle Maples Photography. 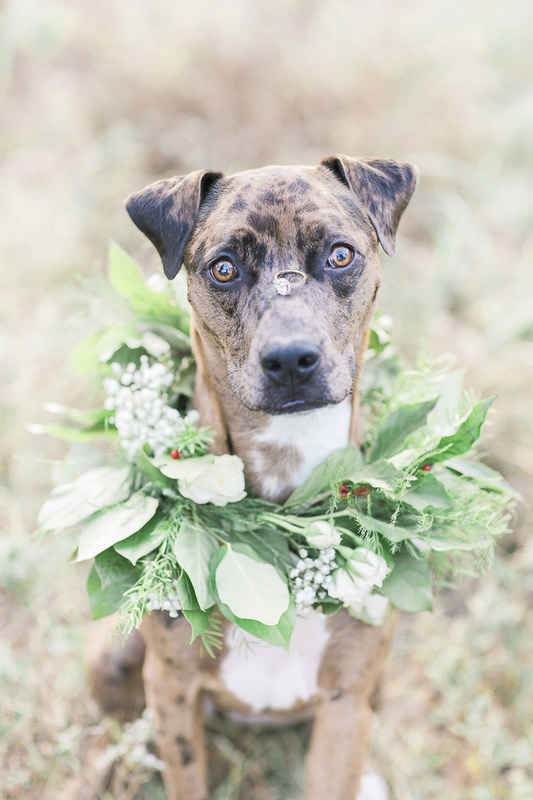 Nala has one of the prettiest floral wreaths I’ve seen and the most striking markings. Initially, I thought she was part Catahoula, but she’s an Aussie-Lab mix. In addition to being beautiful, Nala is quite talented and affectionate. 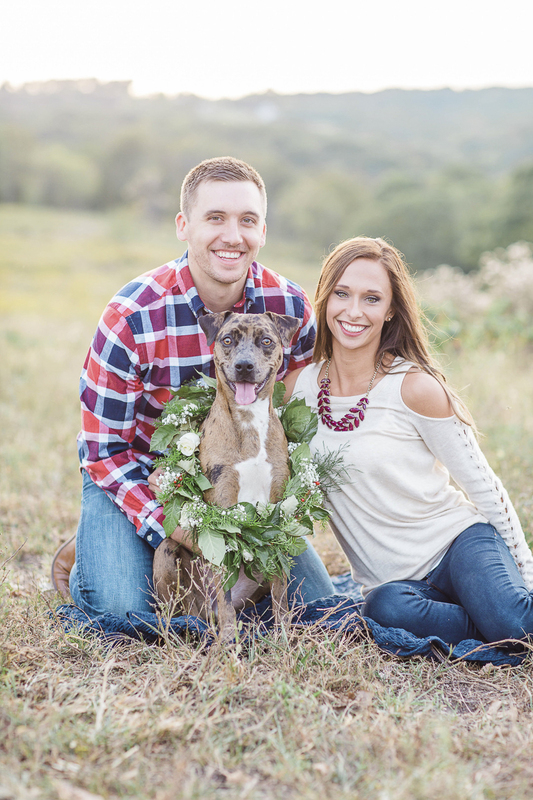 From Rochelle: “I am a huge dog lover, so when my bride and groom asked if they could bring their sweet dog, Nala, of course, I said yes! From Amanda: “Nala was born on February 5, 2016. She is half Aussie and half lab and weighs about 50 pounds. 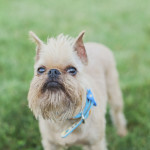 She was one of eight pups. Nala and her brother were the only ones with spots. Nala is extremely cuddly, playful, and smart. She loves chasing squirrels and bunnies. Nala knows how to shake, roll over, sit, speak, growl, lay down and stay. She is very gentle when accepting treats. Follow Rochelle Maples Photography on Instagram as well as Facebook. About Rochelle Maples Photography: Based in Belle, Missouri, Rochelle specializes in senior portraits as well as wedding photography. What a cutie! I love Nala’s coat. Also, I love the one with the ring on her nose. So funny! 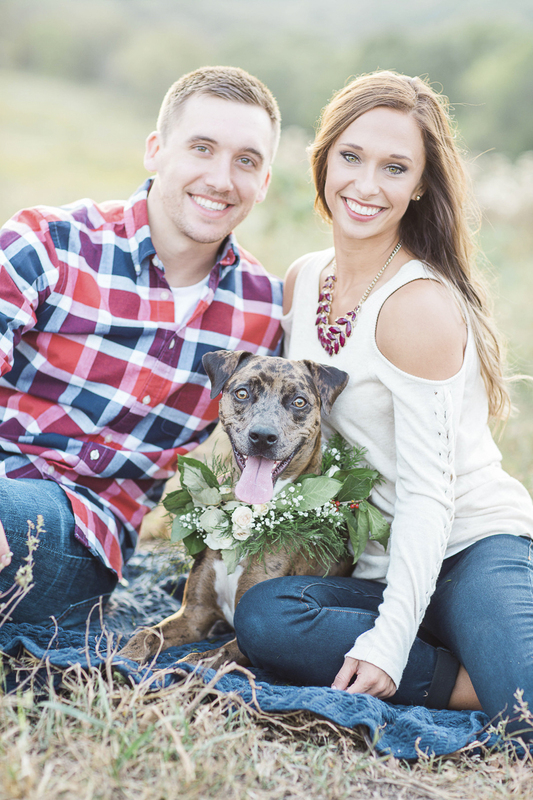 What a sweet dog, and a beautiful couple! I love how dogs become a part of the family. OMG – Nala is so cute!!! Looks like she just loved the photoshoot!!! What a big personality 🙂 Bet she’s a super fun dog!!! Wow girl!!! 1.) You are stunning; 2.) Your pup is so sweet. BEAUTIFUL couple!!!!!! What a precious little pup! These are so cute! !I though the first photo was my favorite, but the one of her standing up and holding her parents hands is just adorable! These photos are absolutely gorgeous. I LOVE the ring shot. 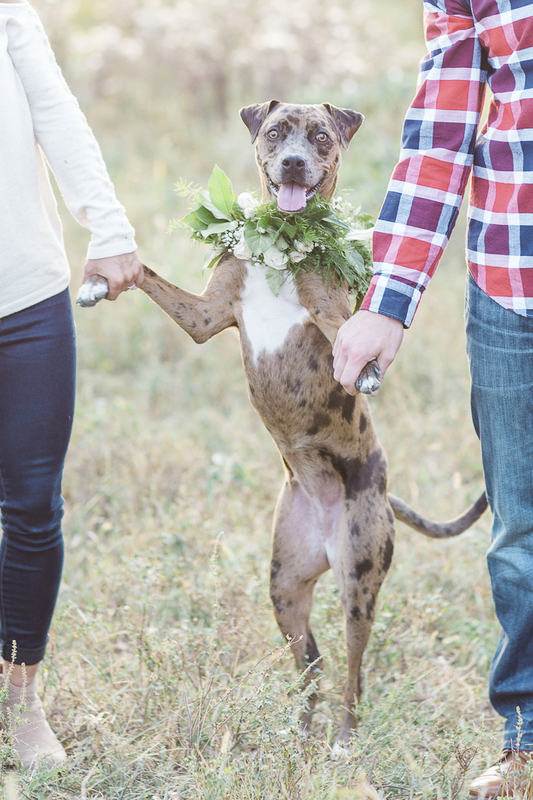 The happy couple looks great and must love these photos! The photos are so stunning. And Nala is absolutely adorable.